Photographs are the closest counterpart that we have to possessing our own “Personal Time Machine.” We can go back to a different era in our mind, or realistically show our grandchildren how we(or loved ones in our family) looked when we were their age or even younger. To me, it’s truly amazing to be able to share these special memories of our lives for generations to come. In todays fast paced society we get blindsided by technology. Ipads and Iphones can all capture images and instant memories so easily. Once an image is captured, our attention usually goes to the next “newer” image on the screen and the old ones are essentially forgotten. Not many of these photos are being printed for display in our homes. Looking at these photos on an electronic device seems to be exciting enough for many. Getting back to my point of drawings preserved from 40,000 years ago. Photos saved on an iphone are not going to last for generations. Once the device breaks or gets stolen that’s usually the end of the memories. We do have “The Cloud” for back up now. Let’s see how easy it will be to look through thousands of images since everything backs up to the cloud when it’s enabled. In my opinion the cloud will be very time-consuming, and not easy to make photo selections. I think once we reach a certain age in life(with that also comes maturity) preserving our photographic memories becomes extremely important. These photographs become the history of our lives and family! If you decide to preserve your photographs using a photo kiosk, this will probably be your life history that will be passed on. 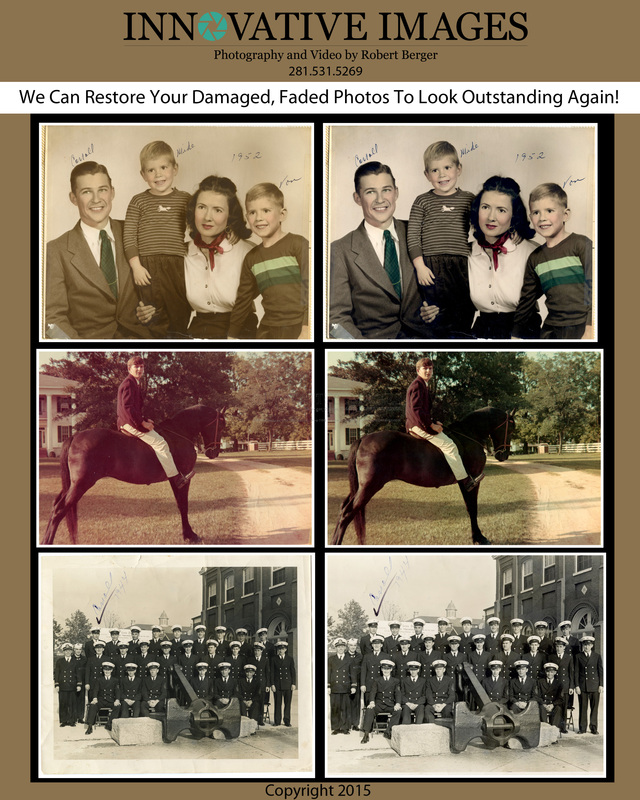 Leaving your photos in the hands of family to restore or have printed with an heirloom archival quality later on, realistically speaking may not happen? 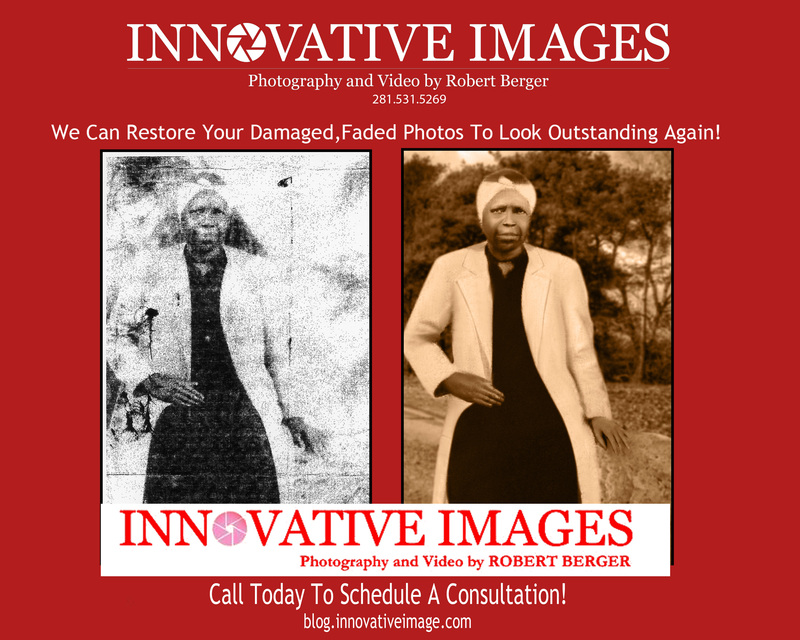 My company, Innovative Images Photography by Robert Berger provides expert photograph restoration and photo reproduction(non copyrighted images or have release). Your photographs are printed on the highest quality photographic paper, with a linen texture, luster coating on 1/8 inch backing. Custom bounded photograph albums of your favorite images is also an option. 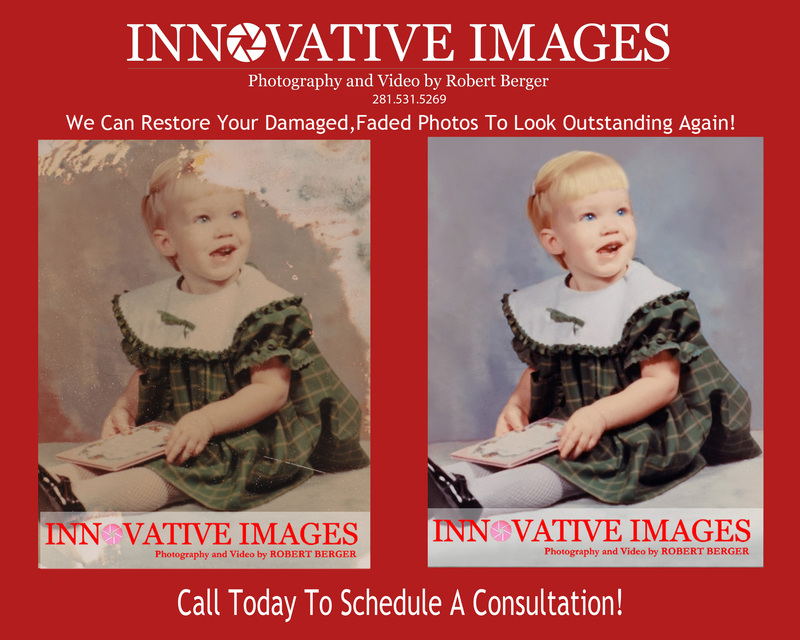 Custom photograph restoration, reproduction, and album creation are an investment. We can always make more money in the future but we can’t buy back a split second in time. Preserving the history of our lives for future generations is your decision to make. I hope my blog makes you think about the importance of preserving your photographs! I will be very happy to discuss what I can accomplish for you. Please call for an office appointment at 281-531-5269.